There Goes the Motherhood? Meet Beth Bowen. Red hot mom alert! Turns out, the motherhood is ‘going’ these days… to where? We’re not sure. But it’s going fast. Yup. There’s a new show in town all about moms, kids and birthday parties gone a wee bit dramatic. Bravo Media’s bold, new docu-series “There Goes the Motherhood“ follows six dynamic Los Angeles moms who meet through parenting expert Jill Spivack’s highly-coveted, eight-week parenting course. Beth Bowen, Jen Bush, Meghan Conroy-Resich, Stefanie Fair, Leah Forester, and Alisa Starler have waited (and waited) for the opportunity to be a part of the most in-demand mommy group in LA — as you guessed it, some become fast friends and others become fast frenemies. I’ve seen some tidbits of the show — it’s eye-opening, funny, fascinating, a bit shocking, surprisingly relatable and totally entertaining. 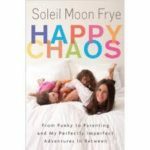 (I admit, I do want more…) Each mom practices a unique parenting-style and strives to maintain her sanity alongside insecurities, changing lifestyles and disagreements among each other. But through the drama, each also tries to improve their own life as women, wives and moms. Recently, I also spent some one-on-one time with the cast at a fabulous dinner party where I was forced to put a whole lotta prejudgements about reality shows aside and realized: Whoa, reality show or no reality show, we’re all in very *real* places as moms and women at this stage in our lives. The women I met were cool, sweet and a kick-in-the-pants in person. #Respect. On a super personal note? I also know some of these soon-to-be famous moms from my past. Aha! Yes! A mom’s past is always interesting… lol. Mother of four kids under the age of 12 Beth Bowen (aka: the hot blonde with the smokin’ bikini body that all the husbands in the show stare at… you’ll see) happens to be from my hometown. You bet I connected with Beth through a mutual Fresno friend and politely begged her to answer a few easy questions. She did! So how did you find out about this show and are you freaked a bit because it’s “reality”? BB: I heard about Jill [Spivack] and her amazing mommy groups at The Pump Station shortly after I had my first child. I put my name on that list years ago. Discussing motherhood with or without cameras is difficult! No one wants to be judged. 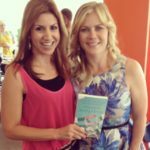 We all want to be validated that we are making the right choices for our children, so being placed in a mommy group with six very different parenting styles and personalities presented its fair share of challenges for me. Do you think Fresno is going to flip about this? (Side Note: There’s nothin’ like Fresno fans…) And, how have your kids reacted so far — do they love it, don’t love it? Have you prepped them for potential instant fame? BB: Fresno will LOVE this show! TGTM has a lot of heart, humor and an endless amount of drama that I think Fresno will not be able to get enough of! My kids enjoyed the process. They asked, “When are the camera guys coming back?” I haven’t prepared them for much when the show comes out because I’m not sure what to expect to happen. I have never been a part of something like this. I just hope people continue to be kind to my children. I am mama bear when it comes to them! Bouncing back after babies can be tough especially if a mom goes through challenging times. You’ve experienced your share of tough times lately (divorce, your mom’s passing). What is the most important tool, philosophy or advice that helped you bounce back and regain focus, balance and happiness for life and career? BB: My kids are my source of happiness. My health and fitness goals keep me balanced. My mom died three years ago. Her death could have been prevented. She didn’t take great care of herself. I chose to make health and fitness my priority because I want to be here for my kids and theirs! I find working out to be the best mental therapy. I started attacking my fitness bucket list by swimming the Manhattan Beach ‘Pier to Pier’ two years ago. I am running a 10k getting ready for my first triathlon. I run a couple miles every other day. This is coming from a person who never worked out prior to kids and would never run unless a wild animal was chasing me! Everything changed for me after losing my mom. My own mortality came into play. I wanted to stop that cycle. A large portion of my Instagram is dedicated to my health journey. Motherhood’s got its share of funny fails. Got a funny fail that your fans wouldn’t believe actually happened to you? BB: I remember going to meet a mom for a play date for Gianni [my second-born son]. I completely forgot about it. She texted me 10 minutes before, asking if we were on our way? I remember putting Caila, my five year old, Gianni, who was three at the time, and my newborn Lorenzo in the car. I arrived 30 minutes late. As I take the bucket seat out, my 5 year old takes her sippy cup lid off and accidentally spills orange juice all over her white dress, which ignites a massive tantrum. Gianni is telling me his tummy hurts, just as I realize I forgot Lorenzo’s diaper bag. We go into this woman’s house with Caila in tears about her dress, as Gianni projectile vomits on the floor and Lorenzo has a blowout up the back of his diaper — without a change of clothes or another diaper for that matter! Yep, play date from hell! We were 30 minutes late only to show up to throw up on the woman’s floor and hear Caila melt down about her dress. I had Lorenzo’s diaper explosion all over my arms and shirt! HUGE MOM FAIL!!! I’ll never forget that gem of a day! We weren’t invited back either! Mortified!! For what it’s worth, I will be biased in this here post (because it’s my blog): In the brief time I recently spent with Beth (at that fab dinner party previously mentioned above) she was sweet, fun, lighthearted and just seemed… well… nice. And I can’t wait to see how this all hashes out on TV.